Dan likes to live on the funky side. He continually brings excellent sours to our meetings and this was no exception. It involves a blend of 2 beers, a Braggot and a Pale ale SMaSH. You may not be able to replicate this exact recipe since dan used wild cultured yeast but you should try it anyway. The funky part was that prior to brewing I made starter wort and left it outside in a makeshift koelship during the evening then put it in a jug with an air lock for about a month until I was sure it was a viable catch. Feeding it more dme along the way. 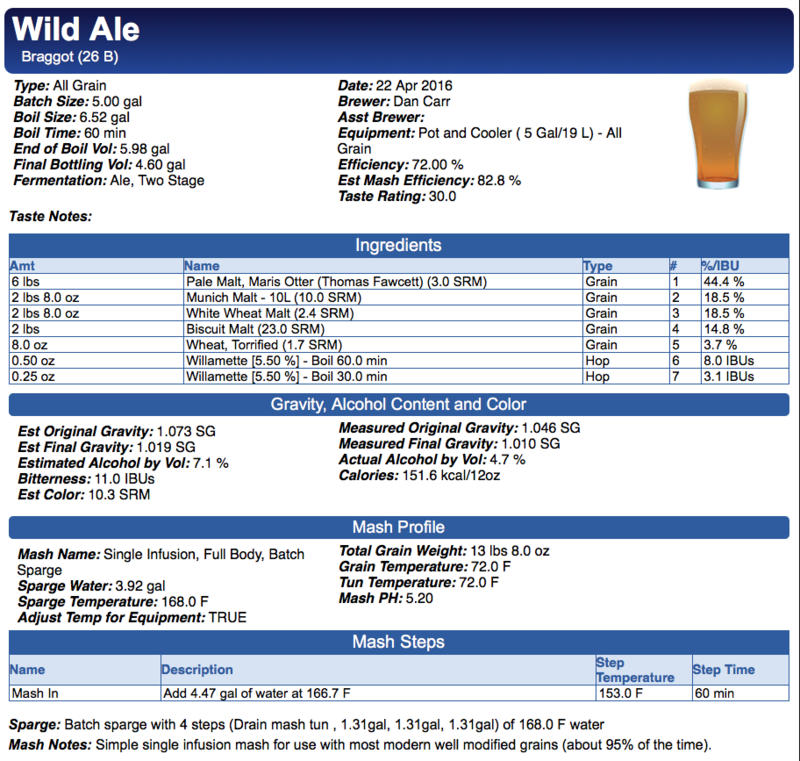 Once I was happy with it, I brewed and pitched it into my beer. 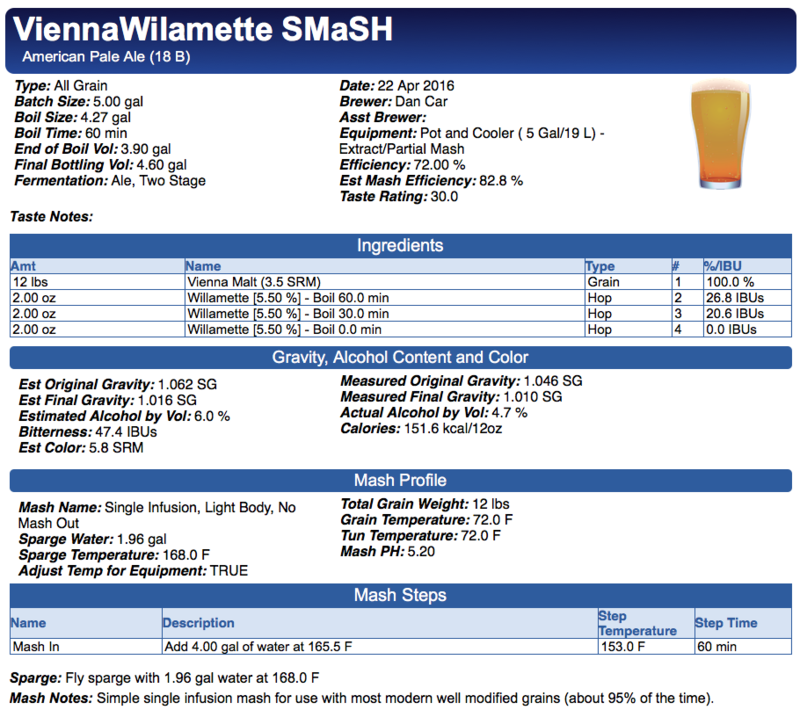 Aged the smash for about a year and the second brew about 7 months before blending and bottling.